Some, strangers, turned up at his hospital bedside to weep. More might have come to mourn, had they not been kept out by our family’s concern over the risk of his picking up a fatal infection after chemotherapy. Others eulogized him in verse. He had become a hero of sorts, in a society short of heroes. Why was Anthony Yeo, 60, such a celebrity? Slight in physical stature, he was a giant as a person. His views were often radical. He championed many causes. And he was bold in expressing them in a fearful public. He succumbed on 20 June 2009 from Burkett’s Lymphoma, an aggressive form of leukaemia. 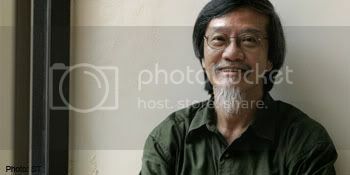 Anthony Yeo Toon Yong was a very recognizable public figure, distinguished by his greying goatee. A much sought after counsellor, he had helped many. 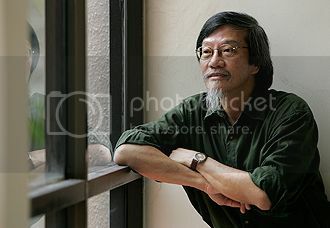 The mass media often quoted him on Singapore’s social and political life. He appeared often over TV, wrote an occasional newspaper column, encouraged others to speak out, and taught from all platforms, church and public. He is credited to have trained more than 1,000 counsellors. One underlying message of his: live simply, do not be caught up with Singapore’s and Singaporeans’ frenetic urge to acquire more. It was one of the last sermons he delivered last March when, unknown to him, leukaemia had already begun to gnaw away at his life. Anthony worked to help those who were troubled or traumatized. He was clinical director of Counselling and Care Centre, which he had run for some years. Many, with troubled marriages, went to him. Some wanted to be counselled by only him. Our father’s rubber business failed when we were young. An orphan, who emigrated from China when a teenager, he used to call Anthony ‘Little Mouse’; he was the smallest and youngest son. I teased him as ‘the last drop’. All those monikers affected him more than we had realized, making him seem something of an underdog and under-achiever. But in adulthood he rose head and shoulders over many. People began to introduce me as “Anthony’s brother”. That was probably Anthony’s first serious encounter with withering reprobation from an insensitive adult. That might have helped him to empathise later with those regarded as under-achievers. The following term, his marks soared, scoring above 80% in some subjects. In secondary school he managed only a Grade 3 pass in the Senior Cambridge School Certificate examination (equivalent of O level). My mother, and I, blamed it on his preoccupation with church work instead of revision for the examination. 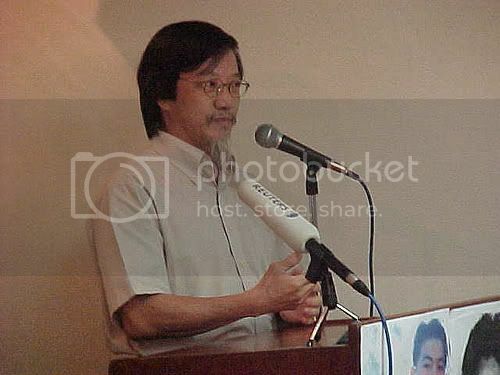 But he subsequently did well enough to be admitted to the then University of Singapore. He began thereafter to blossom, going on to postgraduate work in the United States where, to subsidise his studies, he shoveled snow and washed windows. Later, despite his heavy schedule, he managed to write around 10 books, principally on counseling. One lesson I learnt from him, which helped me in bringing up my two daughters, was to – listen. Listening was one of his great assets. Children, I learnt from his book, often cry, act up and appear to misbehave. They, he wrote, were not being peevish, but have a problem or grievance that they cannot communicate. Instead of punishing them, as parents tend to (some are known to have even killed their cranky little ones), you should hug your child, wait and, when he has calmed down, gently ask what’s troubling him. I followed his advice with one of my daughters. It worked! And I was able to hear from her why she was protesting so disagreeably. That resulted in many long years of closeness between me and my two daughters, who, even as adults, continued to sit on my lap in public. That perhaps summarized his approach to counseling: listen and empathise. There are many troubled people, young and mature, who cannot express their need. Anthony embraced them and their troubles reassuringly, calmed them tenderly, gave them solace – and helped them along the path to peace. My Little Mouse has found everlasting peace, grasping nothing as he left. He is, I am confident, enjoying eternal rest in the arms of the God he had obeyed faithfully in a life of serving. He left this earth, maybe too soon, “with open hands, knowing that I am not grabbing on to anything”.